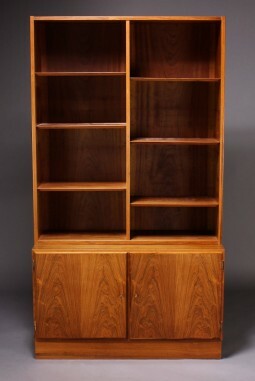 This bookcase was designed by one of Denmark's most influential designers - Aage Hundevad. 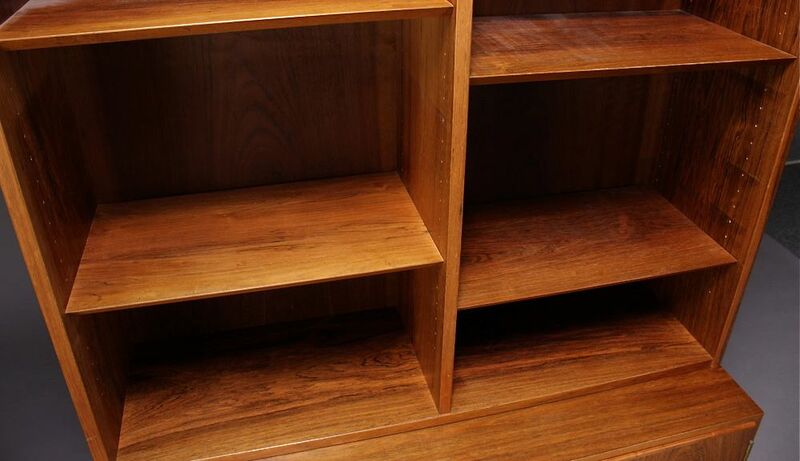 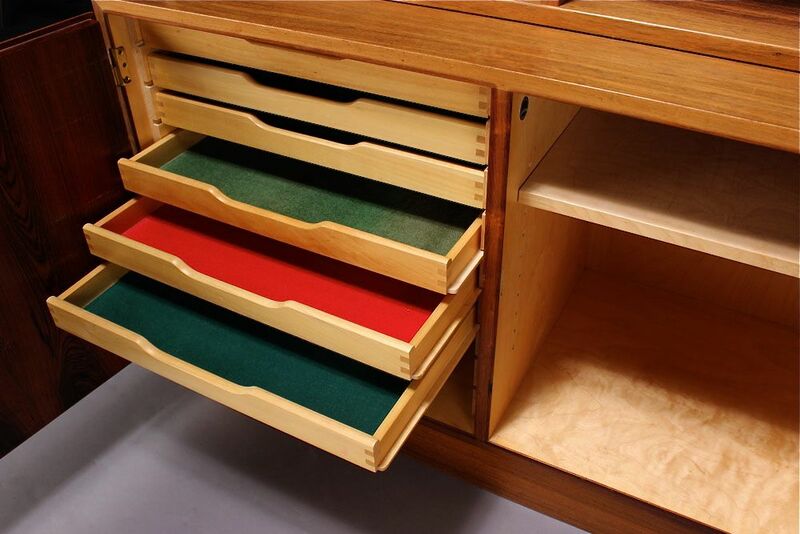 The bookcase has adjustable shelves, two cupboard doors, behind which are sliding shelves/drawers. 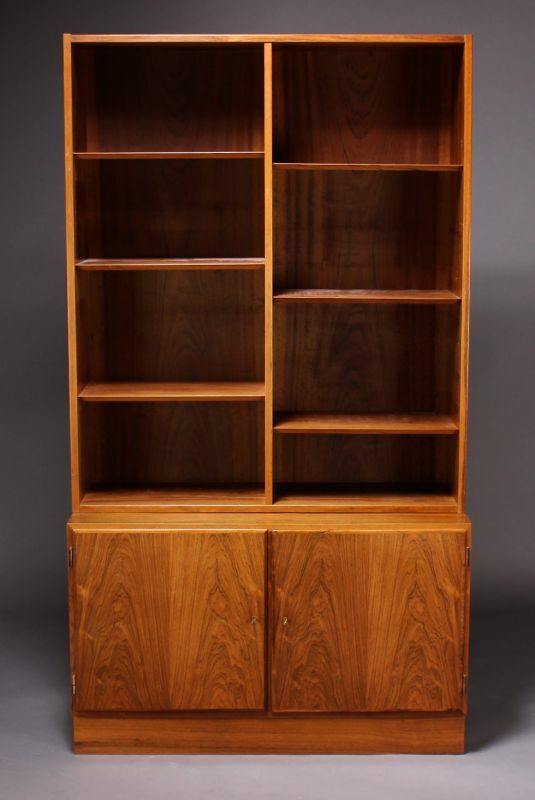 It was made in the 60s, constructed in well figured matching rosewood veneers and the cabinet work is of very good quality, the inside is lined in contrasting blond maple. It is in good general condition, with all joints firm and tight. 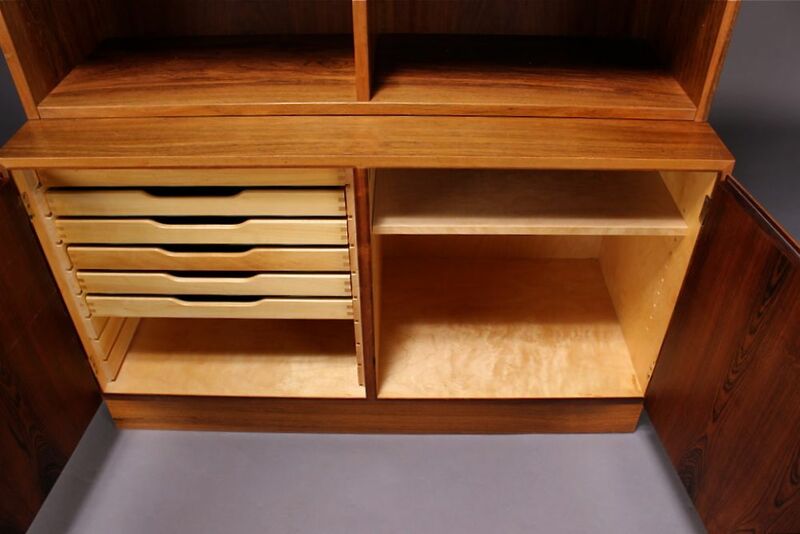 The measurements are 108 cm wide, 43 cm deep and 197 cm high.